Vortex DDS is the most advanced, complete and leading (Commercial and Open Source) implementation of the OMG DDS standard. Vortex enables data to be shared and integrated across a wide spectrum of operating systems and platforms. Vortex provides a full implementation of both the OMG DDS latest rev1.4 (DCPS profiles) and the OMG-DDSI / RTPS interoperable wire-protocol. What are the Benefits of DDS? An understanding of both the architecture and the message / data sharing requirements of each target system is an important pre-requisite for choosing the most appropriate messaging protocol solution for the Internet of Things IoTand Industrial Internet IIoT. A number of key messaging technologies are emerging that will support the next generation of IoT applications. 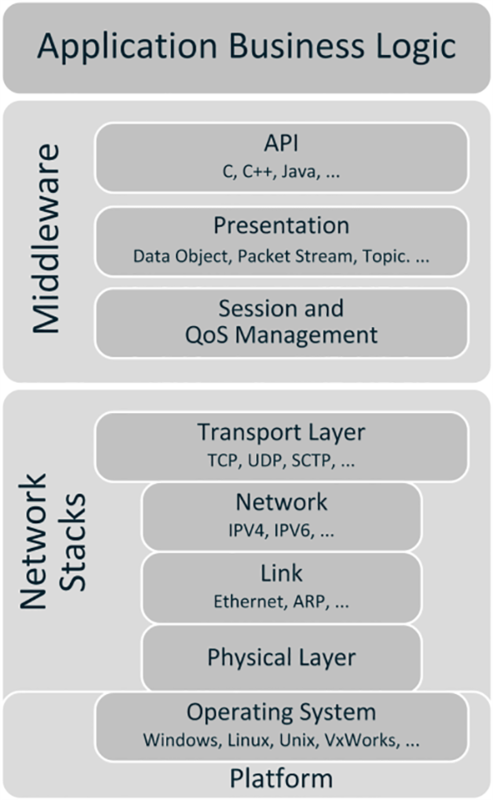 These messaging technologies include Data Distribution Service DDS, Constrained Application Protocol CoAP, Message Queuing Telemetry Transport MQTT, Advanced Message Queuing Protocol AMQP, Java Message Service JMS, eXtensible Messaging and Presence Protocol XMPP and Representational State Transfer REST, each of which can be used to connect devices in a distributed network. However, their suitability to support the different operational scenarios considered, including Inter and Intra Device communication, Device to Cloud communication and Inter Data Center communication varies, especially when key system requirements such as performance, quality-of-service, interoperability, fault tolerance and security are taken into account. The Future Airborne Capability Environment (FACE™) Consortium is taking a leadership role in developing open standards for avionics systems of the future so helping to make military aviation computing operations more robust, interoperable, portable and secure. We provide an Open Source (LGPL) FACE 2.1 Transport Services Segment (TSS) Reference Implementation for developers to use with the Data Distribution Service standard.